Married Bible Fellowship exists to glorify God by cultivating authentic community experienced by the love of Christ that we pray ultimately leads to changed lives. Whether you are a newlywed, young married, or seasoned married couple, we invite you to join us every Sunday at 11AM in the Fellowship Hall to find community within Denton Bible. 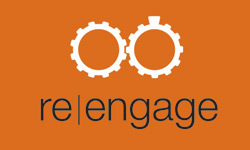 Re|engage is a 16 week marriage enrichment program. Marriages in any condition can benefit, whether you are struggling to get along, your marriage is broken, or you simply want to grow closer together as a couple. Re|engage is a year-round program so you can begin at any time.